Marking the 20th Anniversary of Nirvana’s debut album, Sub Pop expanded the album with special packaging & a never-before-released live performance. 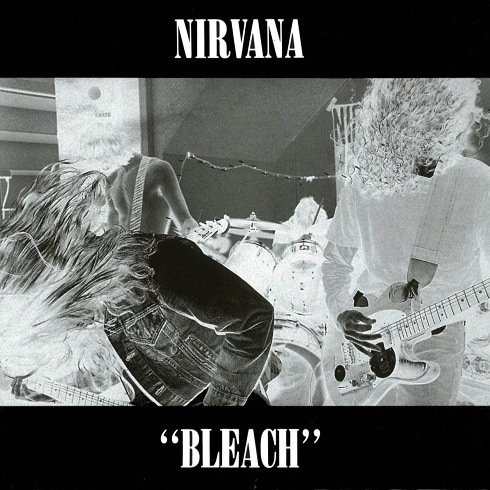 Originally recorded over three sessions with producer Jack Endino at Seattle’s Reciprocal Recording Studios in December 1988 and January 1989, Bleach was released in June of 1989 and remains unequivocally and unsurprisingly Sub Pop’s very favorite Nirvana full-length. The album initially sold 40,000 copies, but was brought into the international spotlight following the release and worldwide success of their 1991 sophomore effort, Nevermind. Subsequently Bleach went on to sell 1.7 million copies in the US alone. This 20th Anniversary Edition has been re-mastered from the original tapes at Sterling Sound in a session overseen by producer Jack Endino. This edition will include an unreleased live recording of a complete February 9th, 1990 show at the Pine Street Theatre in Portland, Oregon. The show features performances of “Love Buzz,” “About a Girl” and a cover of The Vaselines song “Molly’s Lips” and has been re-mixed from the original tapes by Endino. The CD edition includes a 48-page booklet, while the 2-LP edition offers a 16-page booklet, both of which includes candid photos of the band not previously released to the public.